Our crowdfunding campaign launched on November 22. 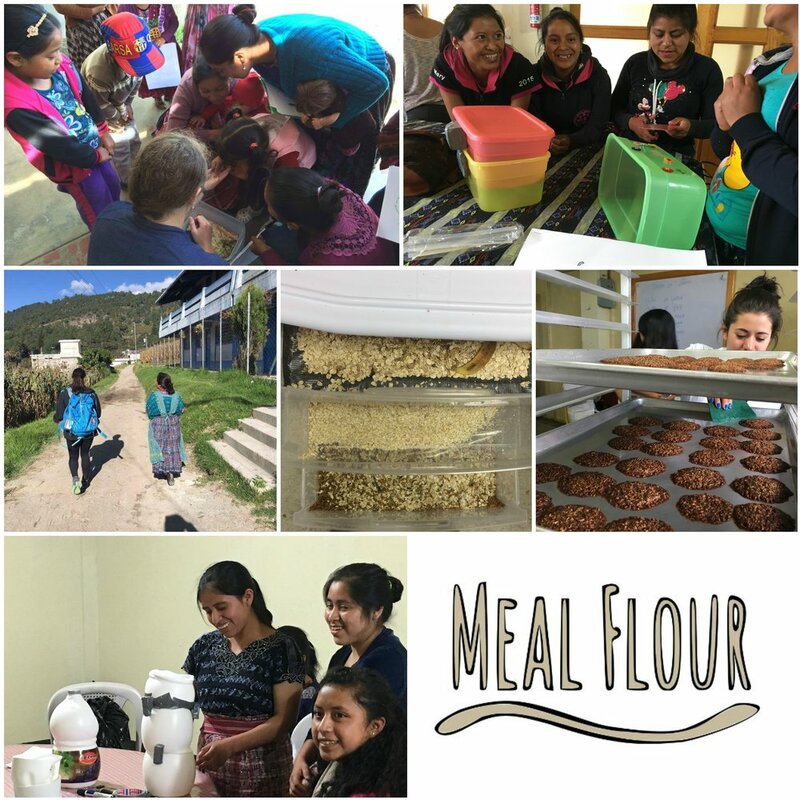 Thank you to everyone who has helped so far, but we still have a ways to go so that in 2017 we can bring MealFlour to all of the communities that have requested our training program. Please share the campaign with family and friends. Every bit helps AND you get the chance to win delicious protein-packed mealworm cookies delivered to you. In November, we started our charlas (discussion-based classes) in Candelaria. The first week, we reviewed our class on nutrition, introduced mealworms as a rich source of protein, and explained the mealworm farming process. The second week, participants built their own farms and received their mealworm farm starter packs! Family members of the first group approached MealFlour to ask if they could join the program as well. To accommodate this growing interest, MealFlour started a weekend class. Joyce, Elizabeth, and Gabby have been visiting the new farmers' homes each week and holding charlas, answering any questions, and working with the women to adapt the farming process to their needs. Through our new partner NGO, PEILE, we ran three sessions of our new 'train the trainer' program, a three-day nutrition and mealworm farming crash course for aspiring teachers from all over Guatemala. On the first day, students received an overview on nutrition, mealworms, and farm building. The next day, students were encouraged to bring in scrap materials that could be used to construct a farm (such as milk bottles and water jugs), which would otherwise have been thrown out. The farm building workshop allowed students to experiment with up-cycling existing materials to build farms. The final day, students got to work with mealworm powder to make delicious protein-packed cookies and pancakes. After our three sessions we had 30 students sign-up to bring MealFlour to their communities in 2017! MealFlour is part of a larger global movement to encourage edible insect farming. This month we are featuring two of our supporters, Caitlin West and Aixin Chen. Caitlin has built her very own mealworm farm in Reston, Virginia! 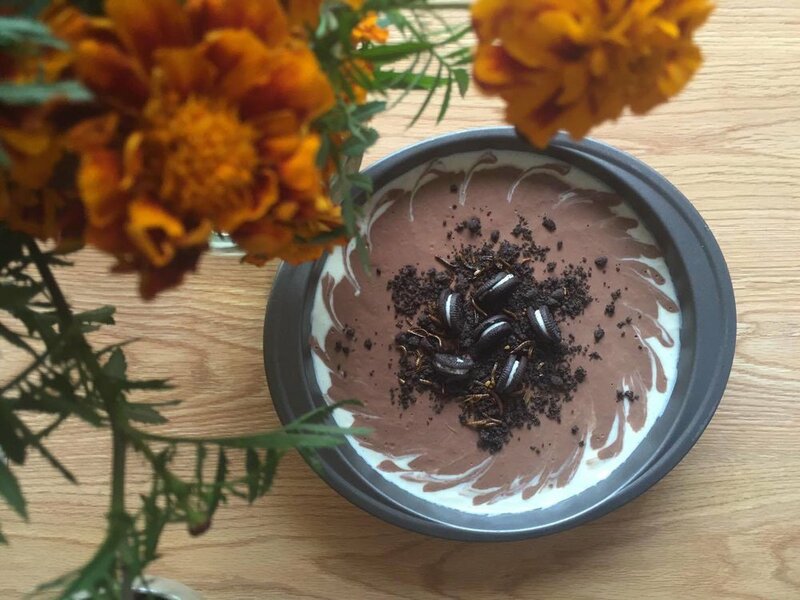 Aixin has been creating delicious recipes that incorporate roasted mealworms and powder. Check out the mealworm pie she made for her Thanksgiving dinner!